Billy the Kid and the Lincoln National Forest, NM. 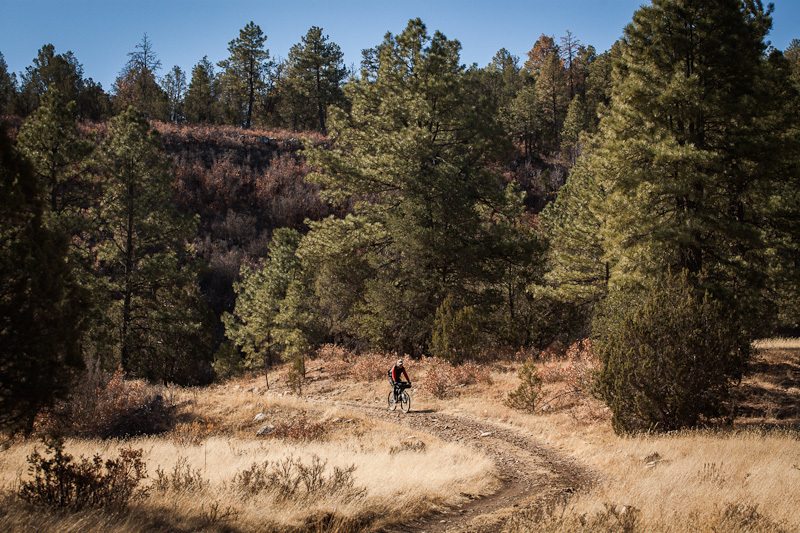 Nestled in the crook of a deep and chiselled valley, lies the New Mexican settlement of Ruidoso. It’s not a place you’d likely stumble upon by chance, unless you were seeking out the most southerly ski mountain in the States. 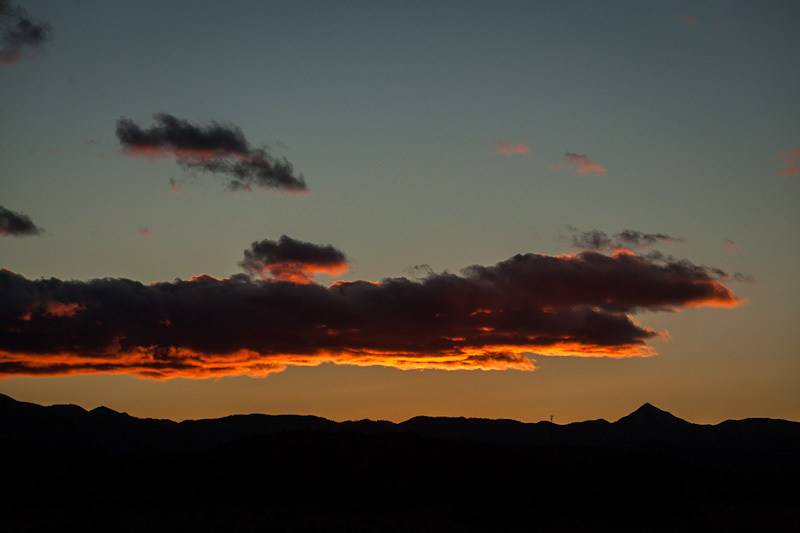 Home to the Apache Ski Resort in the Sacramento Mountains, the nearby Sierra Blanca Peak is often overlooked despite its stature, towering as it does some 12,000 ft above sea level. Founded in 1885, its name – noisy, in Spanish – harks back to a former life, to days when the quiet river it flanks was known as roaring rio ruidoso. 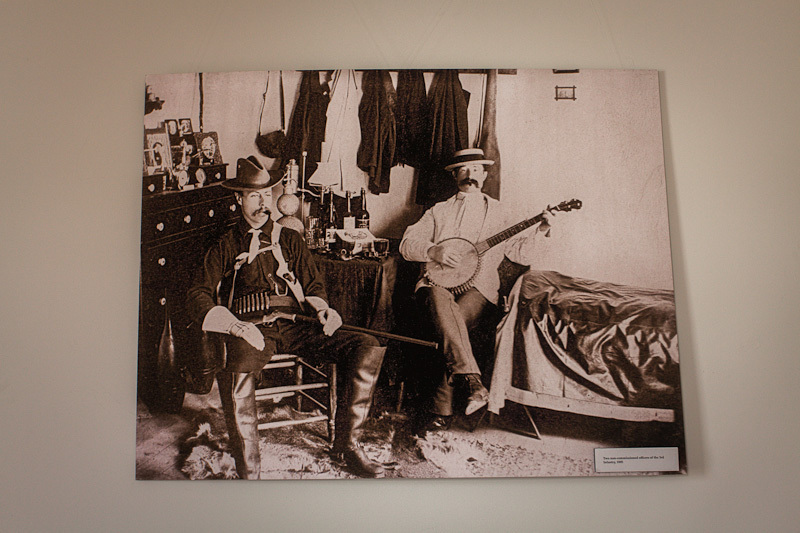 Indeed, the whole area is steeped in history from the pages of the Old West, notably through its association with Sheriff Pat Garett and the notorious frontier outlaw Billy the Kid – the old courthouse in neighbouring Lincoln is even said to be pocked with gunshots from his escape. 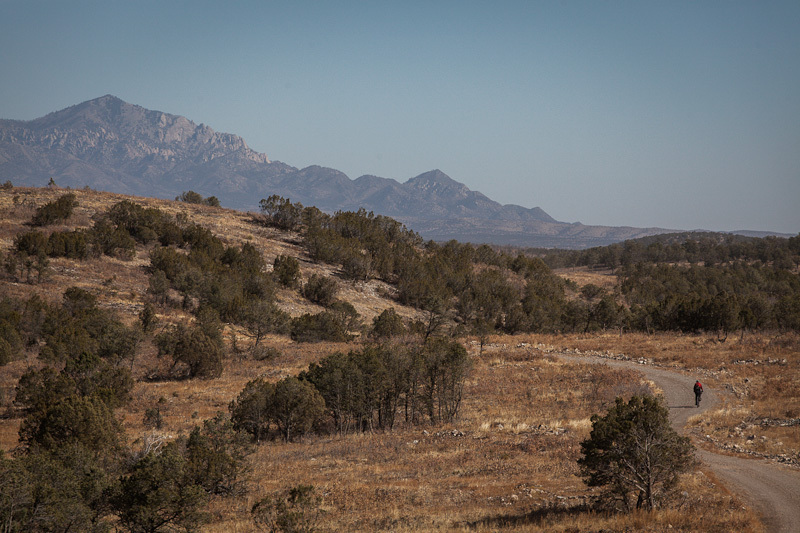 Nearby Fort Stanton, now developed into the area’s most extensive trail network, claims an equally colourful past, with protagonists that include cavalries of Buffalo Soldiers, Kit Carsen (trapper, scout, soldier and a dime novel favourite of the era), as well as the Mascalero Apaches, whose ancestral home this region is. 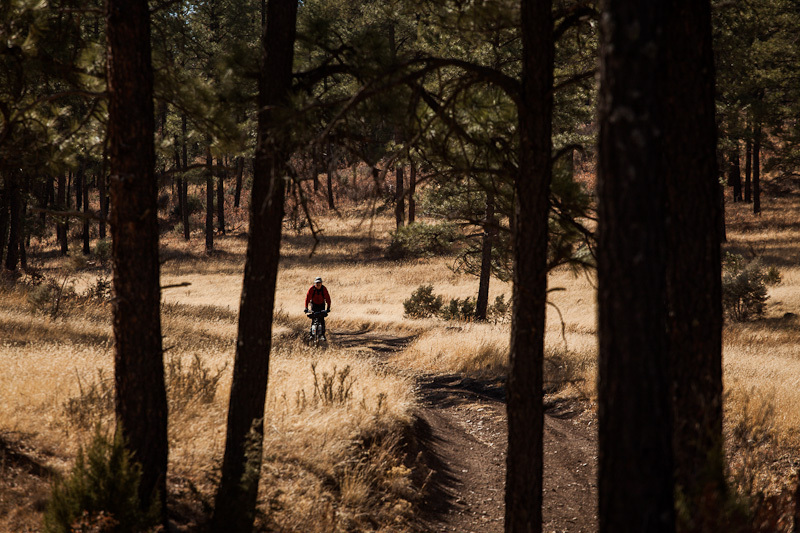 Surrounding Ruidoso lies the subdued yet beautiful Lincoln National Forest, erupting from the brittle dry plains of the Chihuahua Desert, and the setting for pine, fir, aspen, oak and grassland meadows – as well as an equally diverse network of dirt roads and trails. 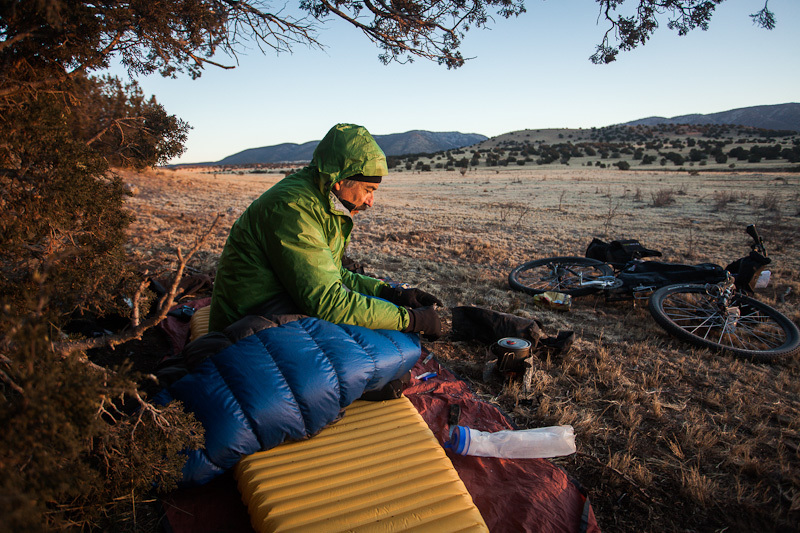 Lying some three hours drive south from Santa Fe (two from ABQ, NM and El Paso, TX), the climate is a notch warmer than northern New Mexico, making it the perfect spot for a late winter/spring break bikepacking escape… Coupled with its blend of natural beauty and historical intrigue, it’s an area with fantastic potential. 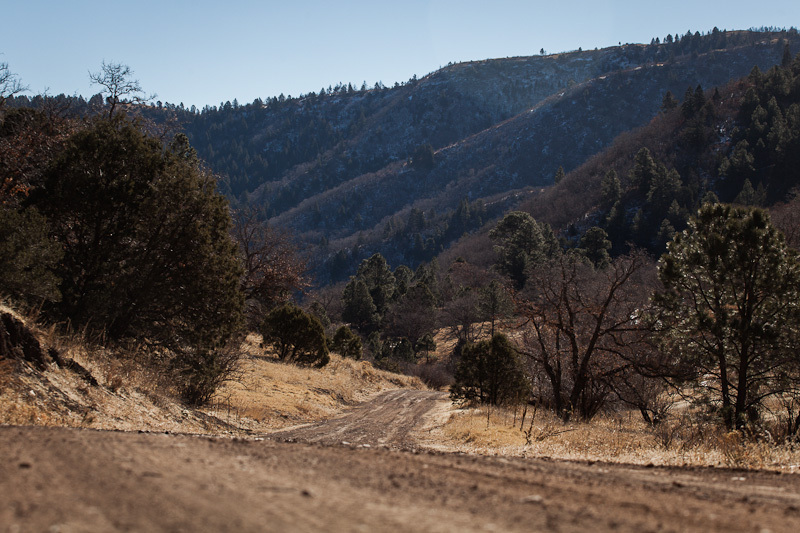 The Lincoln National Forest, southern New Mexico – packed with a plethora of mellow dirt roads, like this one. And this one, framed by rugged peaks of the Capitan Wilderness. Tim, bikepacking aficionado, and my companion on this trip. 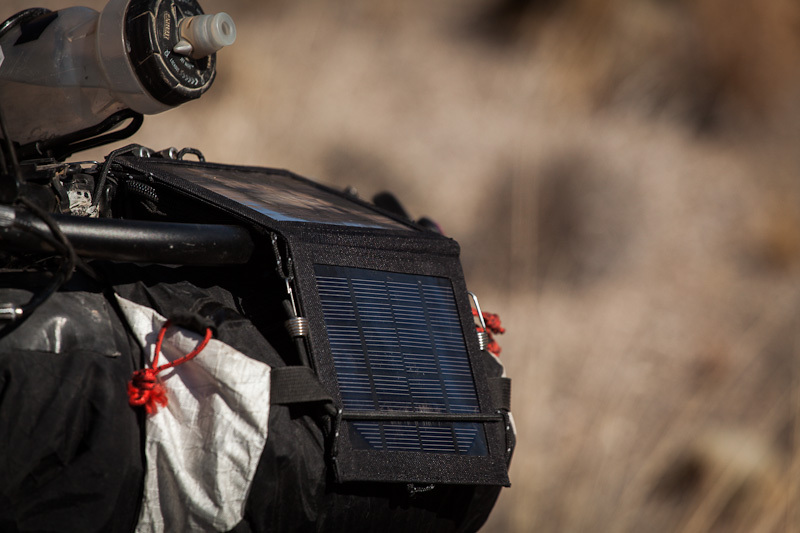 Tim is a voracious collector of biking and hiking gear – which I frequently borrow… Making the most of New Mexico’s unblemished skies, on this occasion I tried out a Goal Zero solar panel. Full review coming soon. His new Revelate Sweet Roll. 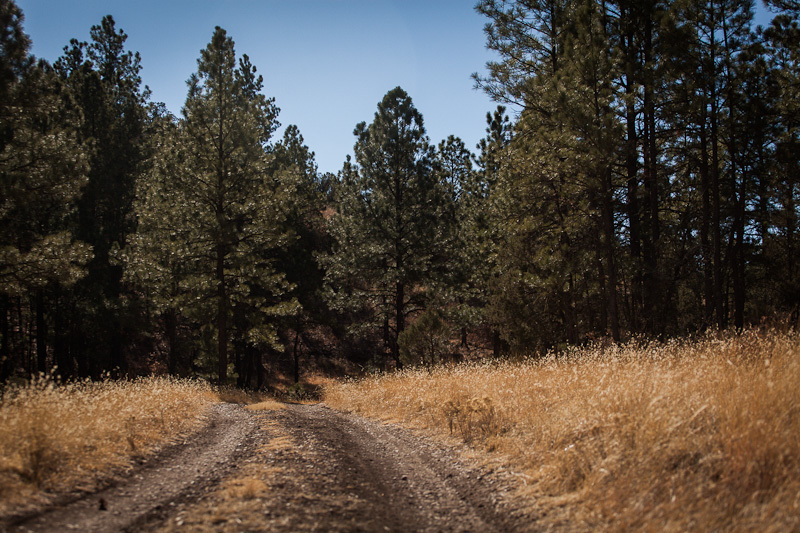 Winding our way through a corridor of ponderosas. Dwarfed again by the Capitan Mountains, a smaller range within the Lincoln National Forest, running to the North East of the more prominent Sacramento Mountains. Towards Fort Stanton the wind gathered strength and a dust cloud filled the sky, so we sought refuge in a small but intruiguing museum that chronicles the area’s rich tapestry of history. 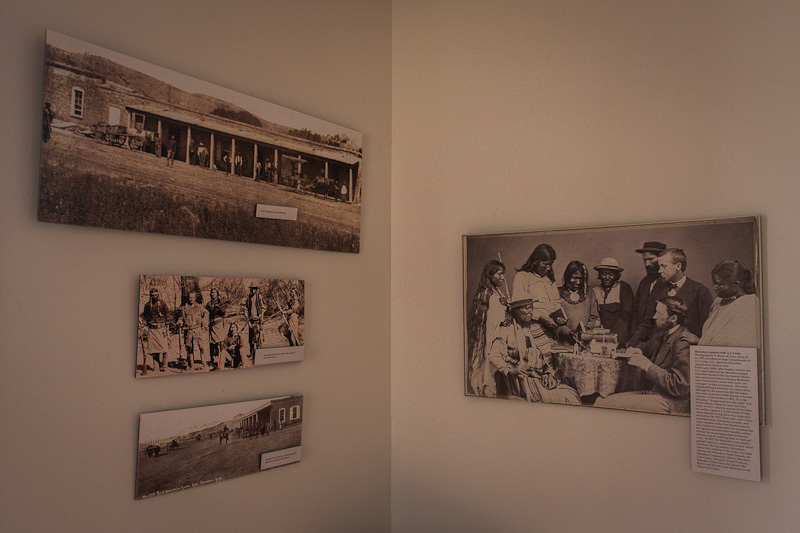 The photo to the right records the meeting of Mascalero Apaches and Indian Agent AJ Curtis, in 1872. In the early 1860s, the Mascelero people were forcibly removed from their home in the Sacramento Mountains, and ‘encouraged’ to take up farming in the Bosque Redondo. In 1865, they fled and lived without homes for the next 5 years, until they were granted a reservation in their ancestral home in 1873, where they live today. Chilling out at Fort Stanton, 158 years before us… Two non-commissioned officers of the 3rd Infantry, in 1855. Finally the wind abated, so we ventured out of the museum and took to the road once more. Gotta love that New Mexican sun. The solar panel worked a treat. I left it fixed to the daisy chain of my Porcelain Rocket front pouch throughout the day, amply providing a full charge for my iPhone at night. 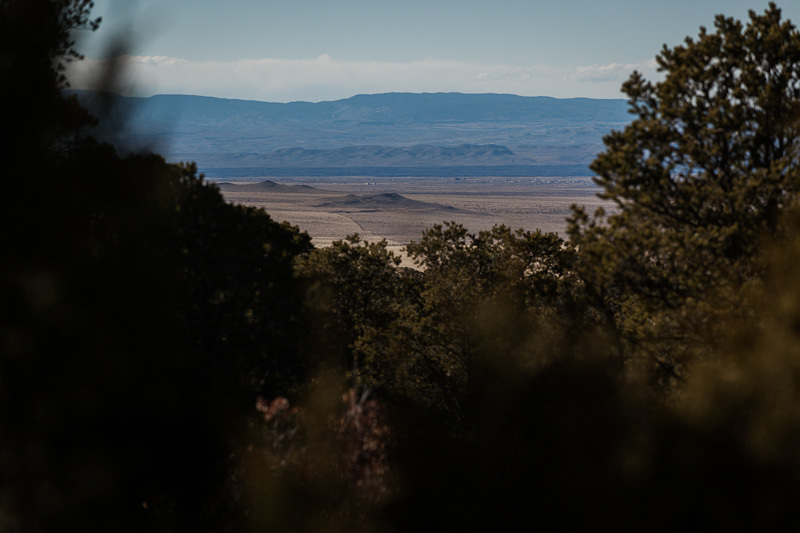 Looking out towards the Sierra Blanca Peak, and the Apache Ski Resort – the modern day legacy of the Mascelero people. A last finger of light. Time to seek out the evening’s accommodation. With sunset, came a drop in temperature. Our chosen spot proved to a good one, shielded from the wind by a giant juniper tree, conveniently nibbled into shape by a herd of cows. 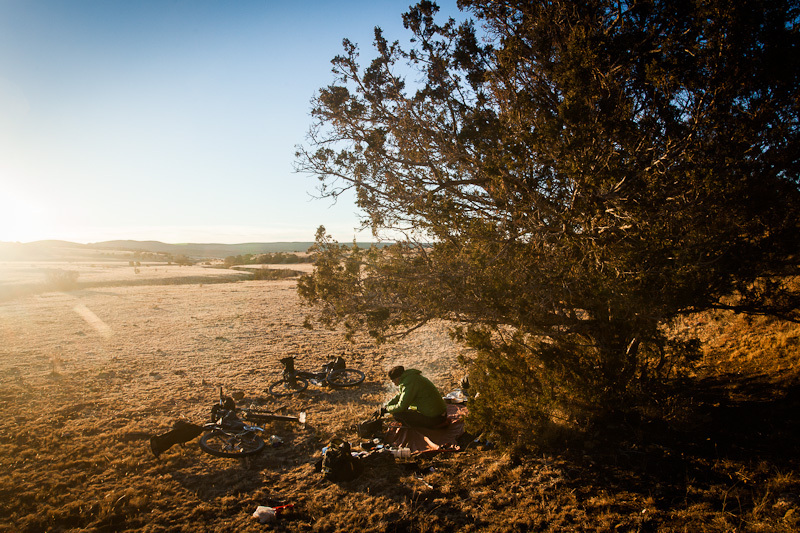 Sleeping out under the stars is one of the highlights of living in New Mexico. It was a cold night though. Water was frozen solid, so we waited for it to defrost. 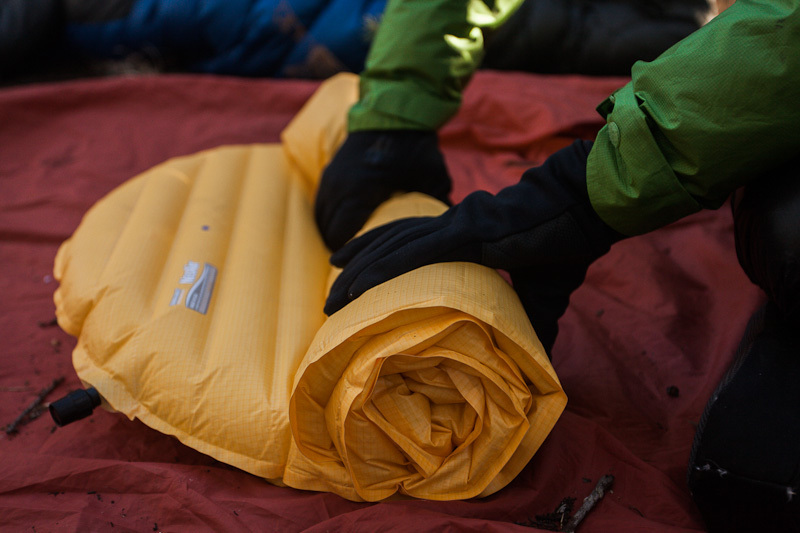 Another item on my shopping list – Tim’s ultralight Thermarest NeoAir, weighing a scant 12oz, or 350g. 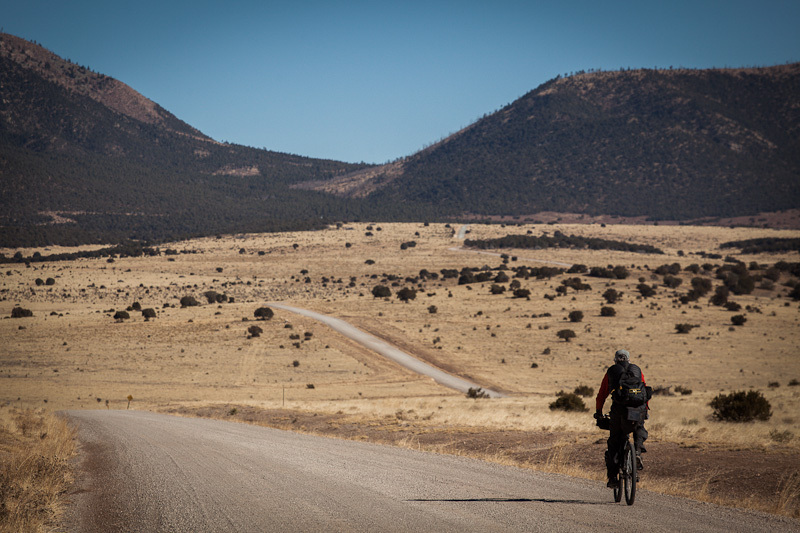 Bodies thawed out once more, we made our way to a junction where we’d arranged to meet Cody, a fellow bikepacking enthusiast who ran the bike shop in Ruidoso. Stricking north towards the West Mountain and the Capitan Gap. 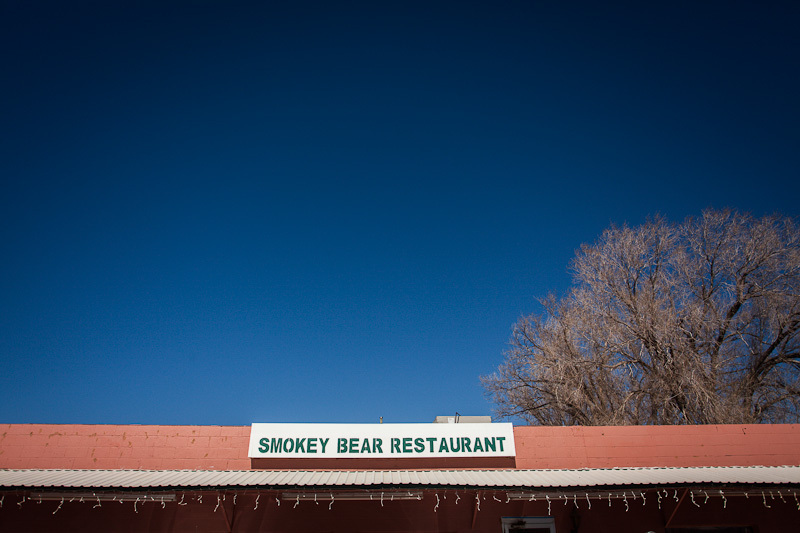 The one-street settlement of Capitan is home to Smokey Bear, the mascot of the National Forest, named after a black bear cub that was rescued from a fire in the Capitan Gap. From there, the three of us set off together, with a last night’s camping to enjoy before completing the loop to Ruidoso the next day. A climb rewarded us with wiews towards the lava flows of this volcanic region. 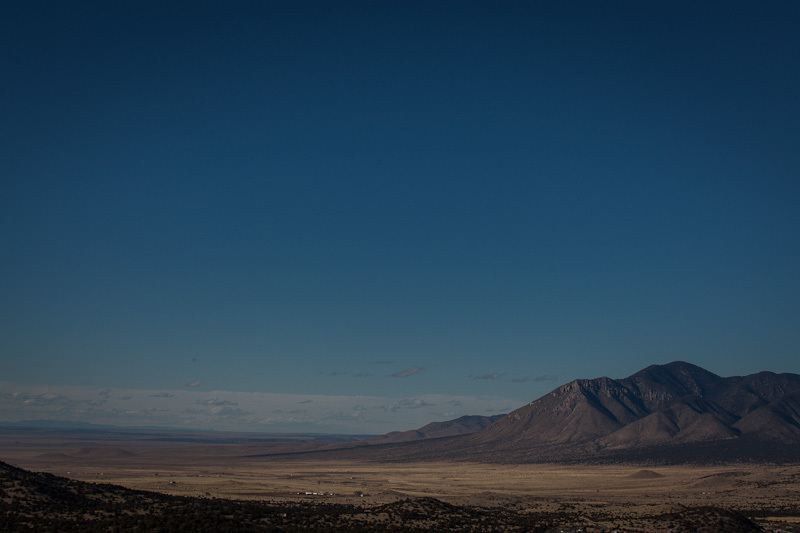 The arid plains of the Chihuahuan desert surround the Lincoln National Forest. 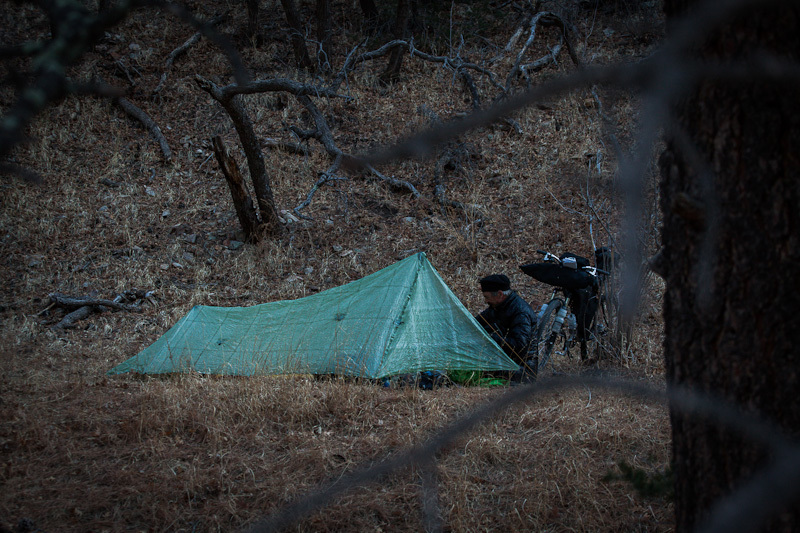 That evening, we pitched camp halfway up Nogal Canyon, setting up our tarps in preparation of the cold night ahead. This was the first chance I’d had to try out my new WTB Weirwolfs. 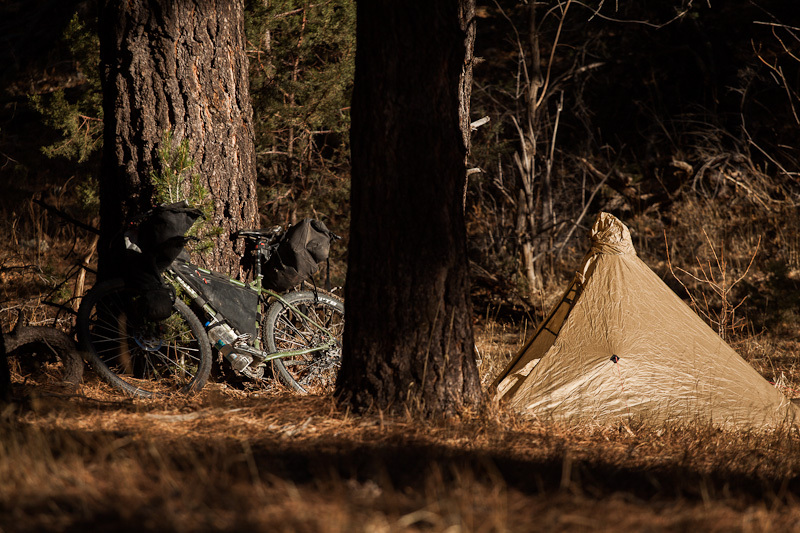 Despite coming up considerably narrower than their 2.5in claimed width, they proved perfect for the conditions – and bikepacking in general. Tim’s minimal and feathery cuben-fiber tarp, made by Bearpaw Wilderness Designs. 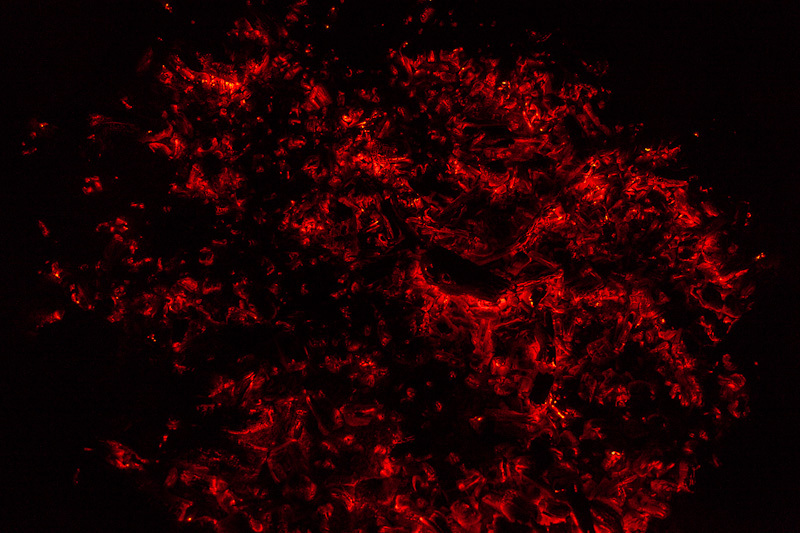 … its embers providing the evening’s entertainment, before we retreated to our respective cocoons. 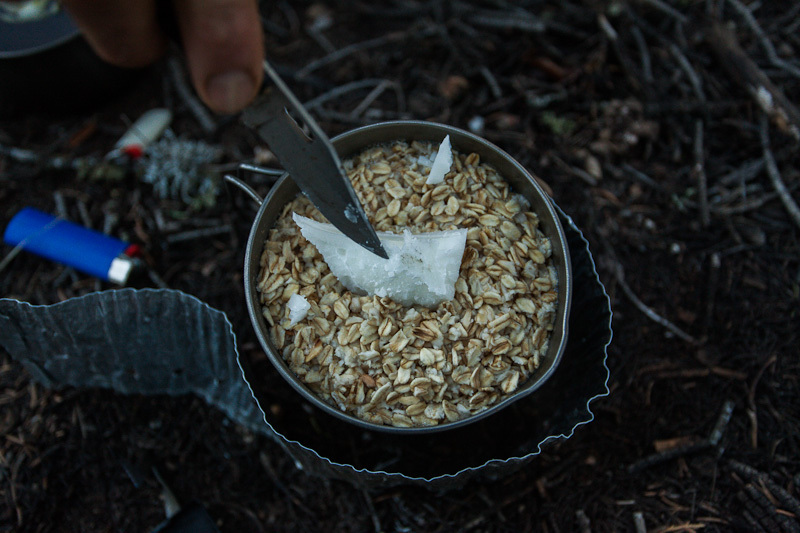 Come morning, Tim’s secret breakfast ingredient to hurdle the switchbacks ahead: chunks of coconut oil mixed into porridge oats. Then we resumed the climb. Towards the top, we slipped and slid our way through snowy patches, looking out to views of the ski fields on the Sierra Blanca peak. Cody, aboard his Giant Anthem, garbed in full Revelate gear. 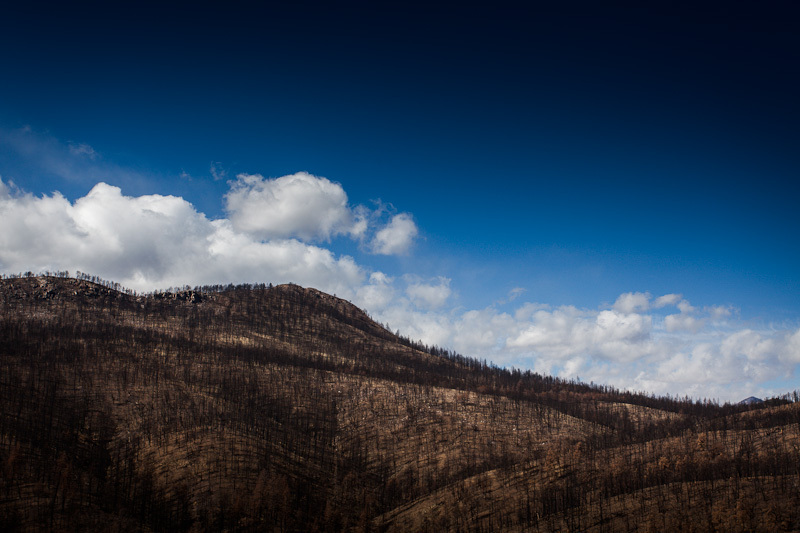 Later that morning, the ride back to Ruidoso provided a glimpse of the fire that engulfed the White Mountain Wilderness in 2012, destroying some 224 homes. Then we were back in town, tucking into complimentary chicharrón – pork scratchings – at the aptly named Porkie’s, perhaps the BEST hole-in-the-wall Mexican restaurant I have visited to in the US! 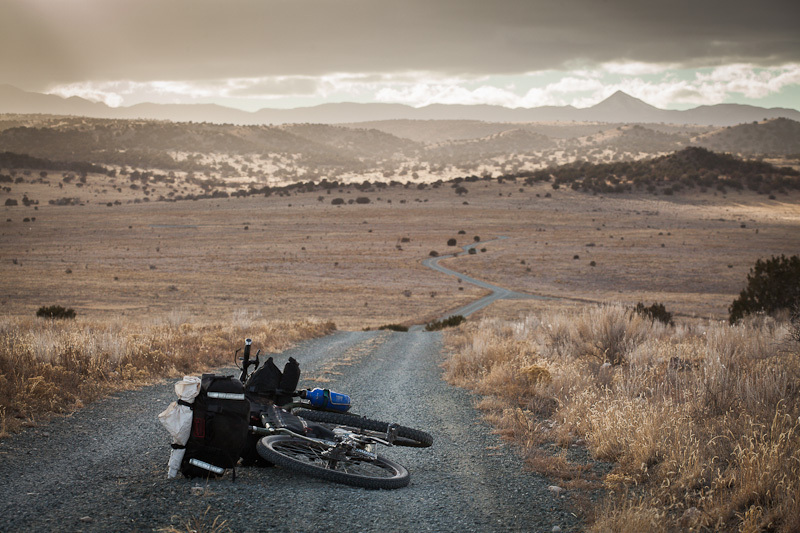 Thus ended one of my favourite bikepacks in New Mexico so far… For sure, I will be back for more. 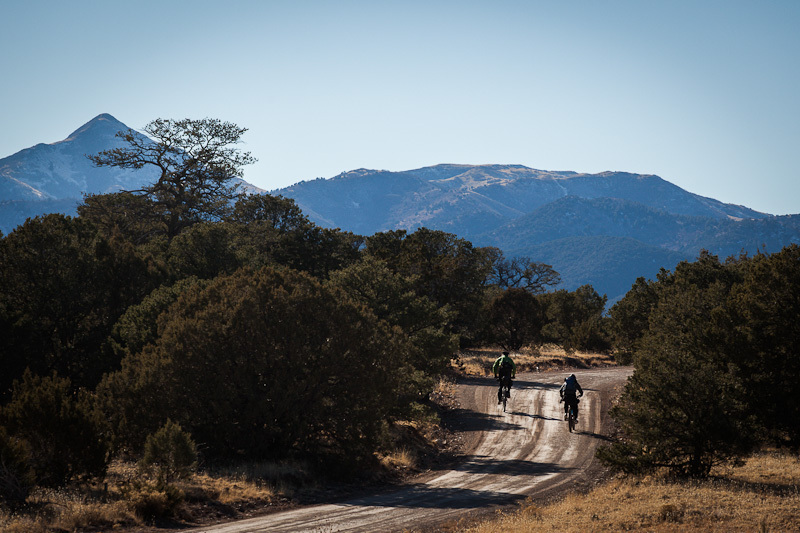 Route: We based ourselves in Ruidoso (6900ft) and enjoyed two full days of riding, bookended with a couple of hours on either side. Total distance was around 125 miles. Thin and long Ruidoso, strung out over several miles, has all the amenities. Cody Thurston at the Bike Shop proved to be a mine of information (thanks! 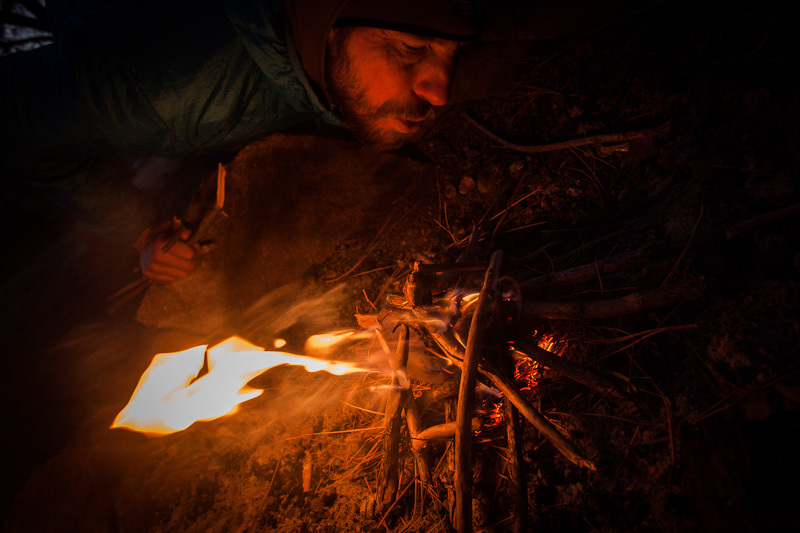 ), suggesting our route, and even joining us to camp out on the last night. 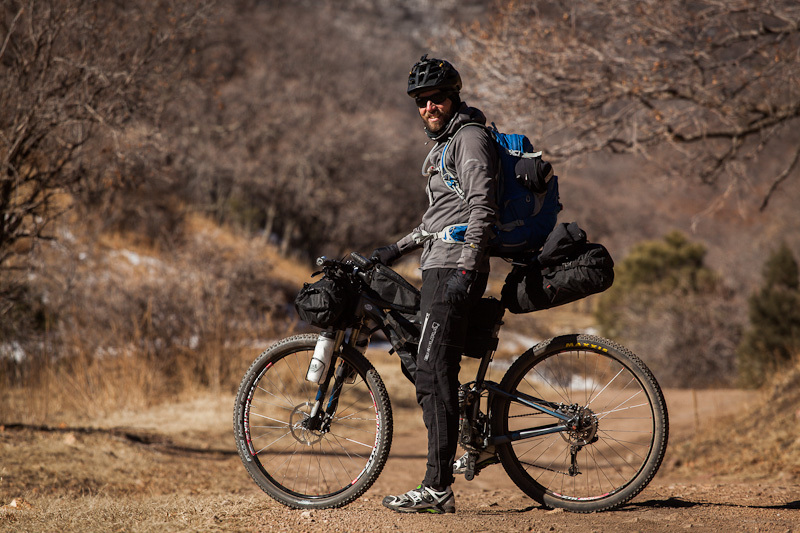 Cody plans to develop a multi day loop and post a gpx route for fellow bikepackers. There’s certainly scope for several days of riding. The museum in Fort Stanton shows a short video on the area’s history, which really helped infuse a sense of context to our journey. On this occasion, we were keeping to dirt roads rather searching out singletrack. Recommended trails within a mile of the bike shop include the Grindstone Lake and Cedar Creek trails. 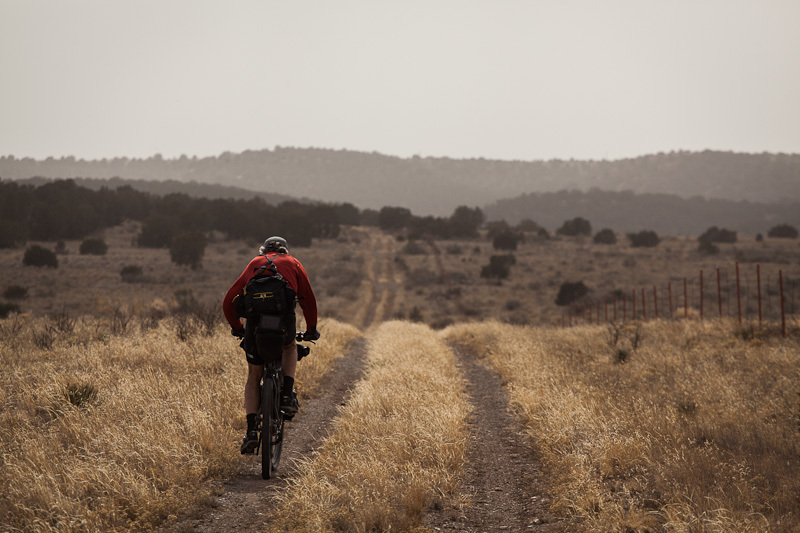 The Fort Stanton area has also been developed, and would make a great pit stop on a bikepacking route. 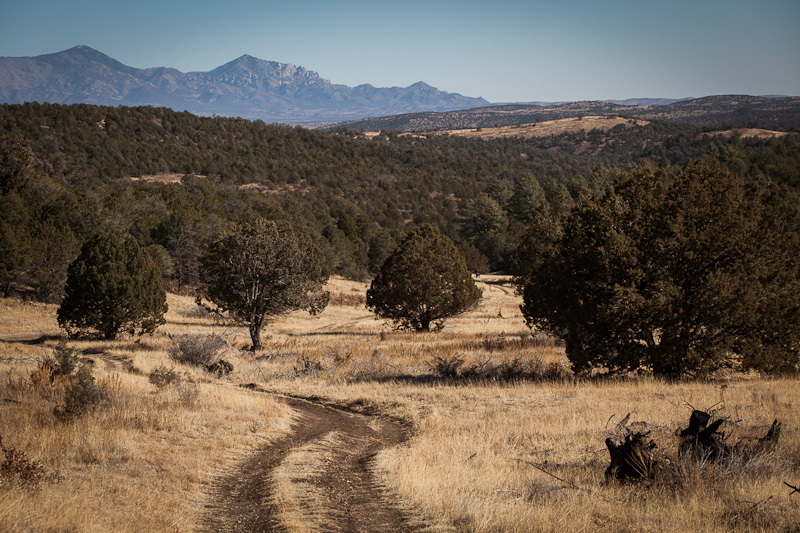 The best trails at the fort are considered to be the ’12 Hours in the Wild West Loop’: Kit Carson, Capitan Overlook, Buffalo Solider and Outlaw trails. Bike Shops: There’s one in town which is called, as it happens, the Bike Shop. It’s a great resource for local information/trails/bikpacking gear. 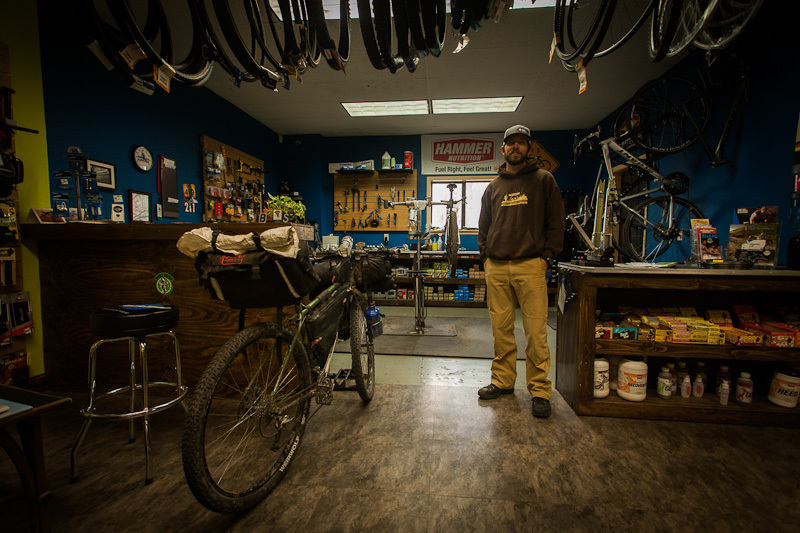 Cody Thurston, my Ogre, and the Bike Shop, Ruidoso. Cody is a fan of all things touring. Maps and Navigation: We used the free black and white Forest Service map, the Lincoln National Forest map, and Gaia’s topo mapping, on my iPhone 5, which doubled up as our GPS. 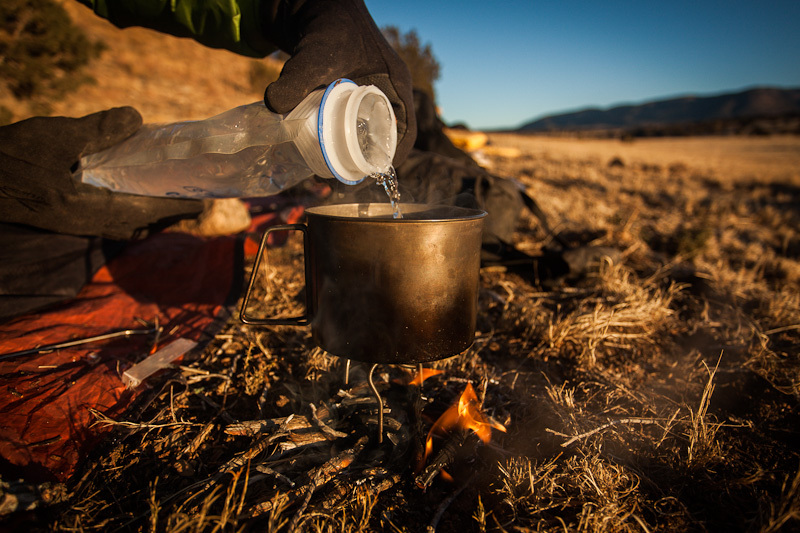 Food and Water: Plenty of water along the way, including at various water tanks, Fort Stanton museum (and at the Horse Trails Parking Lot, on 220), and Capitan. 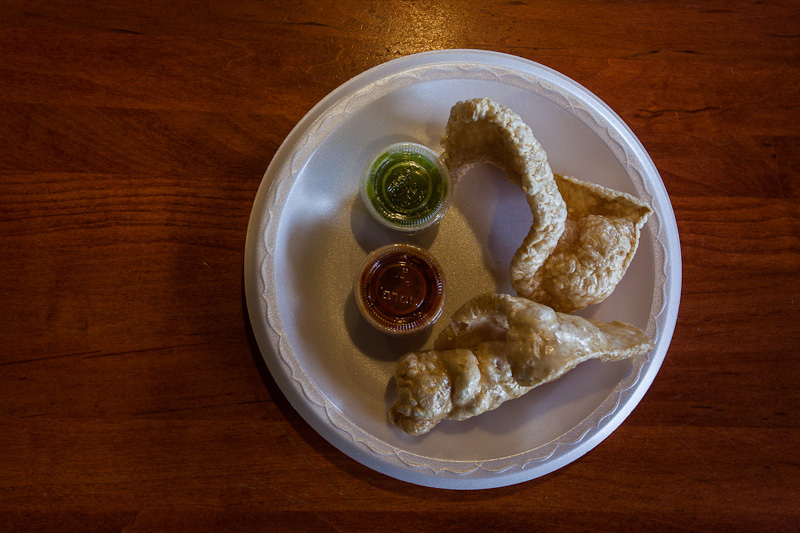 Food in Ruidoso (whatever you do, don’t miss Porky’s Mexican Restaurant!) 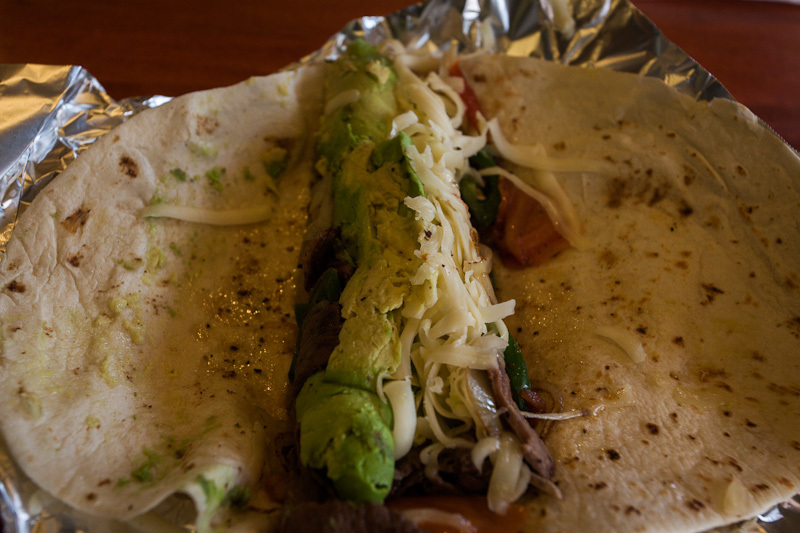 and Capitan (burritos at the gas station). Had we made it to White Oaks, we’d have frequented the No Scum Allowed Saloon too. Bear in mind we were riding early in the year – at the beginning of February – so temperatures were cool. 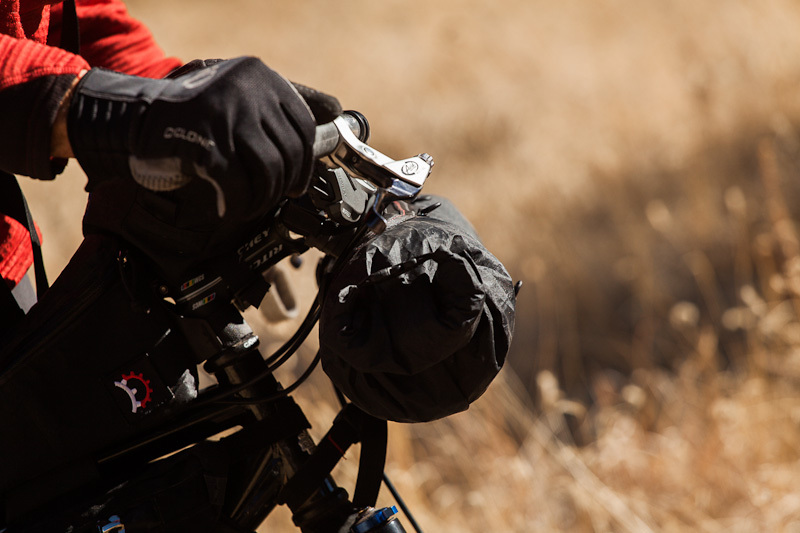 Gear: I rode my Surly Ogre, with a Porcelain Rocket and Carradice saddlebag combination, while Tim used his Revelate packs on his Raleigh XXIX. I was perfectly happy riding a rigid fork, though some of the jeep tracks are relatively rough. 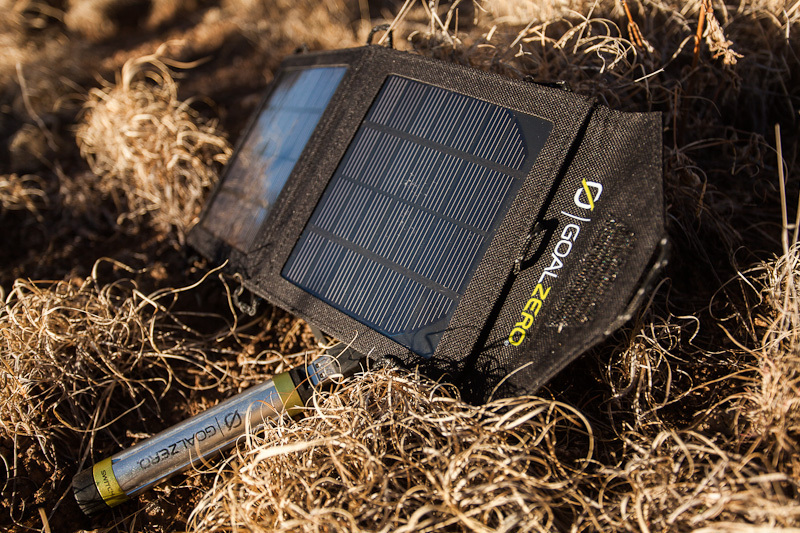 Gear highlights included our Goal Zero solar panels, which worked a treat and kept smartphones fully charged. Tarps were useful given the strong winds and sub zero night time temperatures. Later in the year, sleeping under the stars would be bliss. Camera: Canon 5dMk2, with Canon 17-40mm f/4 and 70-200 f/4 lenses. More photos can be seen on my Flickr page. 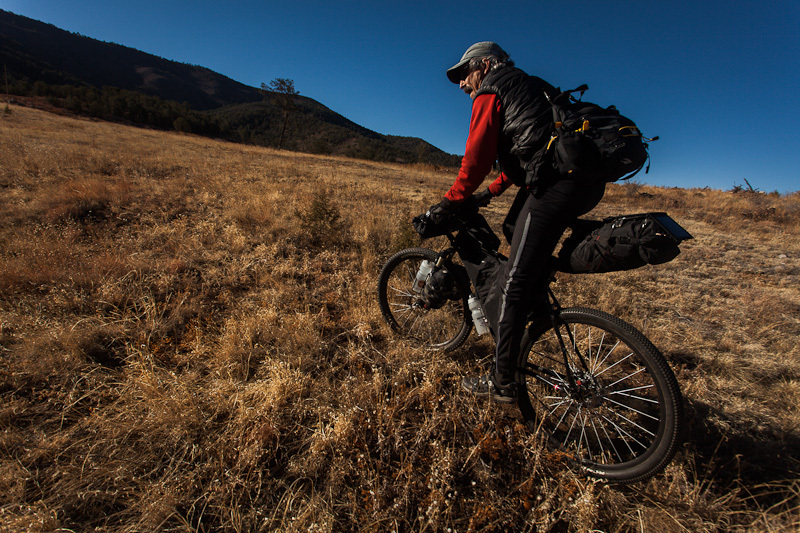 This entry was posted in Lincoln NF, NM and tagged Bikepacking, Lincoln NF, NM, Ruidoso on April 6, 2013 by Cass Gilbert. 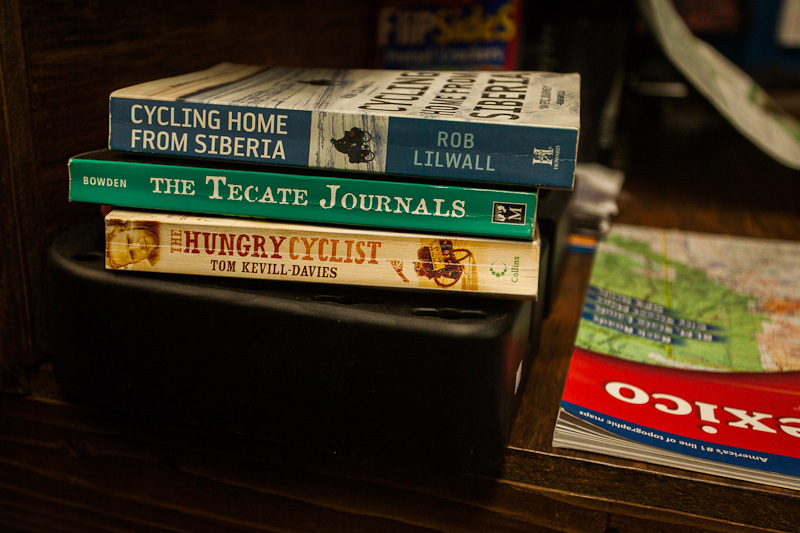 Ah….nothing else evokes the joy of being out there on a bike quite like your photo essays. The Goal Zero looks pretty much like my Power Monkey / Solar Monkey combo. I imagine you might be thinking” Fat bike” for 2014, no? I haven’t had a chance to try out any solar panels in a while, but I’m pretty impressed by the Goal Zero. Being in New Mexico is a bit of an unfair advantage though, the sun is so strong here. A dynamo hub and Plug 2, or similar, is definitely on the long term list. I’ve been holding off too but I feel the vibes! Just waiting to see what Salsa are going to cook up next. I like what they are doing these days. Something really appeals about the thought of a bike that can handle any terrain, sand, mud, snow and still keep moving along. With the weather we’ve had here in Japan this weekend I think I need a rain powered charger! Envious of that new Mexico sunshine! That Neo Air pad……I hate mine. They should include earplugs with those things. It’s so noisy it wakes me up when I take a deep breath on it. Glad you guys had a good trip. I talked to Tim a bit before that trip. My fear was a wind storm that wouldn’t let up. They tend to be problematic down here. I’ve worked up a route from Cloudcroft down to the Guadalupe National Park. I need to get with Cody to extend it from Ruidoso to Cloudcroft. The Cloudcroft area is the toughest one to route as there is just so much great trail in that area. Actually, Cody mentioned your El Paso-Ruidoso rode, via Cloudcroft. Sounds great! One for the to do list, as I’m down in El Paso every once in a while. The wind was pretty bad, but we timed it with a trip to Fort Stanton museum, so that worked out ok. We were taking things easy – we just wanted to get away for a few days, and it was considerably warmer than Santa Fe. I use an old Thermarest 3/4. I agree the Neo Airs are a bit crinkly, but almost everyone I know who has them really likes them. Beautiful! Looks like a great trip! What a great post. You should know, when I read the posts on this website, it gets me outdoors. As a recent transplant from a place without mountain (Midwest) to a place with mountains (SoCal), your blog has helped me learn the geography so much. Thanks for the inspiration! Thanks Tom. I’m glad to hear it! Have you checked out the Idyllwild area? The Stagecoach 400 (http://socalenduro.wordpress.com/stagecoach-400/) is a route I’d love to do. As a ride, rather than a race. Well done, Cass, and very compelling. I am impressed with the new look of While Out Riding. You’ve turned pro! 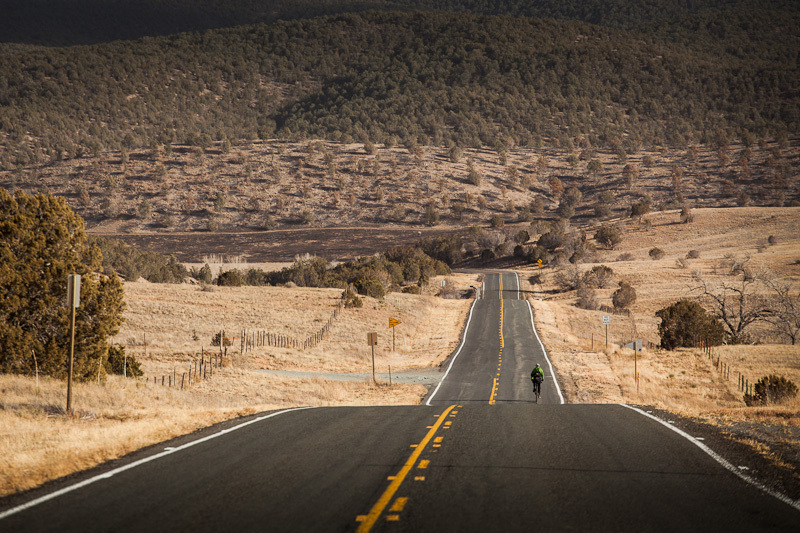 The Southwest looks like Heaven for cyclists. 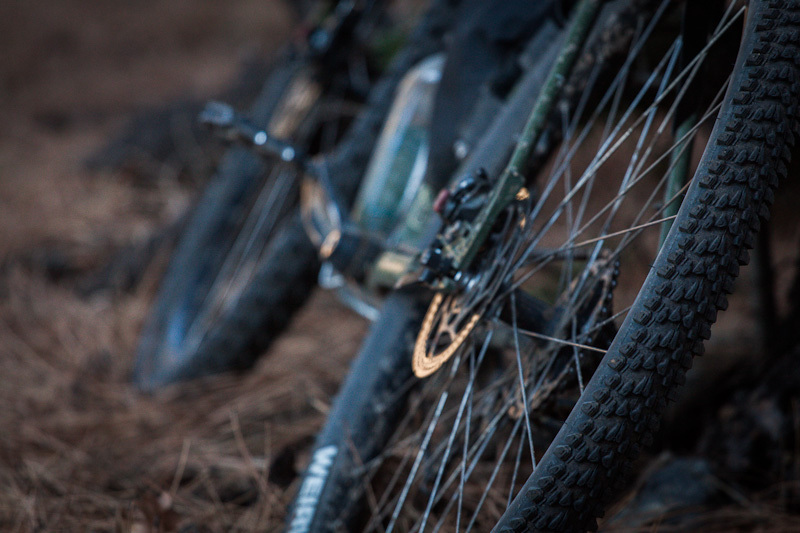 I look forward to hearing more about the Krampus and the Knard and your Fat Bike thinking. Your place is so Big Time now I feel like I have to be on good behavior while commenting. That won’t last, though. Please feel at home here. Don’t be fooled by the veneer, as I’m sure you aren’t. It’s the same old place. Great post! Just fuels my ideas about how my future touring ideas are shaping up. So much riding and places to visit. Great pictures! It conveys through the post just how peaceful a few days out on a bike in the forest can do for a person. Cass, looks a great trip and matching pics. 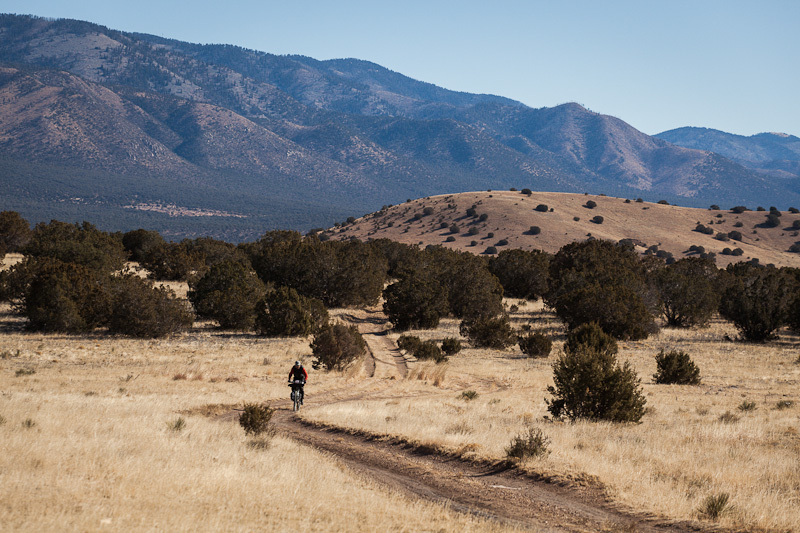 are the trails you took part of the Great Divide mountain bike trail. 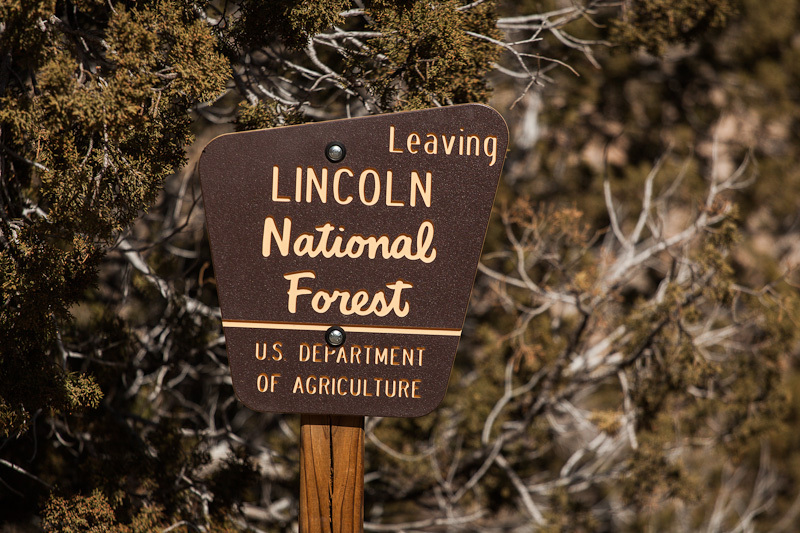 John, the Lincoln National Forest isn’t part of the Great Divide Mountain Bike Route – it’s more to the east. I am a local with a passion for photography. This land- from my current home in the basin through the Mescalero tribal lands (named for the Mescal plant) and up throughout the valleys and peaks of the Sacramento and White Mountains- speaks poetry to my very soul. Your photography of the area & your trip really show what this place is about. Thank you. Really enjoyed. Thanks for the message. I’m glad you enjoyed the post. I’ve only had a few days to explore the area, but it was enough to make we want to head back. I love the combination of Mescal/Apache/frontier history, and the beautiful, subtle landscapes. Hey Cass, a couple buddies and I were thinking about riding this route this weekend but it seems like there’s been a ton of snow and we don’t really have the fat tires to handle some super slick mud. Do you have any good resources for New Mexico dirt roads that we could look up that we could handle on our Long Haul Truckers? 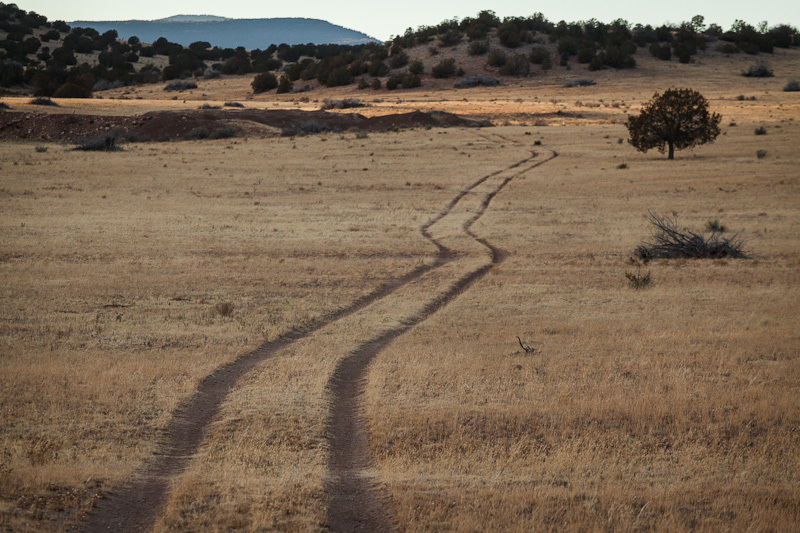 You definitely want to avoid almost anywhere in New Mexico after snow – the mud is disastrous, whatever tires you’re running. Perhaps even worse with fat tires, as they pick up so much mud.